From the New York Times bestselling author of Return of the King comes the story of LeBron James's incredible transformation from basketball star to sports and business mogul. With eight straight trips to the NBA Finals, LeBron James has proven himself one of the greatest basketball players of all time. And like Magic Johnson and Michael Jordan before him, LeBron has also become a global brand and businessman who has altered the way professional athletes think about their value, maximize their leverage, and use their voice. LEBRON, INC tells the story of James's journey down the path to becoming a billionaire sports icon -- his successes, his failures, and the lessons both have taught him along the way. With plenty of newsmaking tidbits about his rollercoaster last season in Cleveland and high-profile move to the Lakers, LEBRON, INC. shows how James has changed the way most elite athletes manage their careers, and how he launched a movement among his peers that may last decades beyond his playing days. 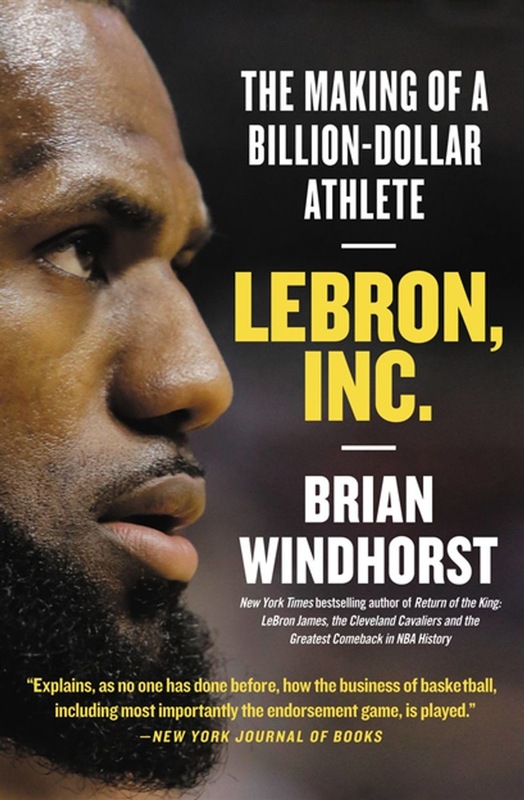 Acquista LeBron, Inc. in Epub: dopo aver letto l’ebook LeBron, Inc. di Brian Windhorst ti invitiamo a lasciarci una Recensione qui sotto: sarà utile agli utenti che non abbiano ancora letto questo libro e che vogliano avere delle opinioni altrui. L’opinione su di un libro è molto soggettiva e per questo leggere eventuali recensioni negative non ci dovrà frenare dall’acquisto, anzi dovrà spingerci ad acquistare il libro in fretta per poter dire la nostra ed eventualmente smentire quanto commentato da altri, contribuendo ad arricchire più possibile i commenti e dare sempre più spunti di confronto al pubblico online.